It's easy to make fast, accurate cuts in sheet metal, plastic, even thin wood with our Powered Nibbler. The cutting action is so smooth, metal edges will need almost no deburring. The comfortable grip and on-off trigger give you complete control over the cutting action. The rotating head makes perfect scroll cuts a breeze. 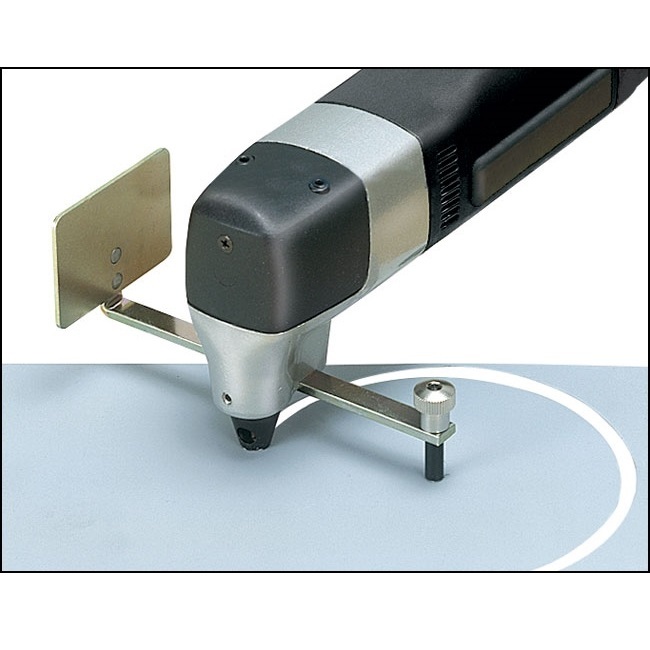 And perfect circles and straight lines are easy-to-cut with the special attachments we include. Cuts up to 1/16 inch thick brass, aluminum, plastic and wood; up to 1/32 inch sheet steel. 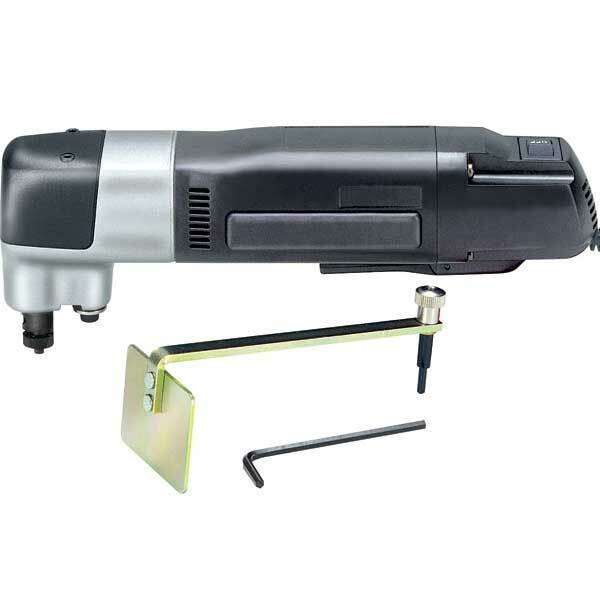 120v AC; 2,900 strokes per minute; 8-1/2 inches long. 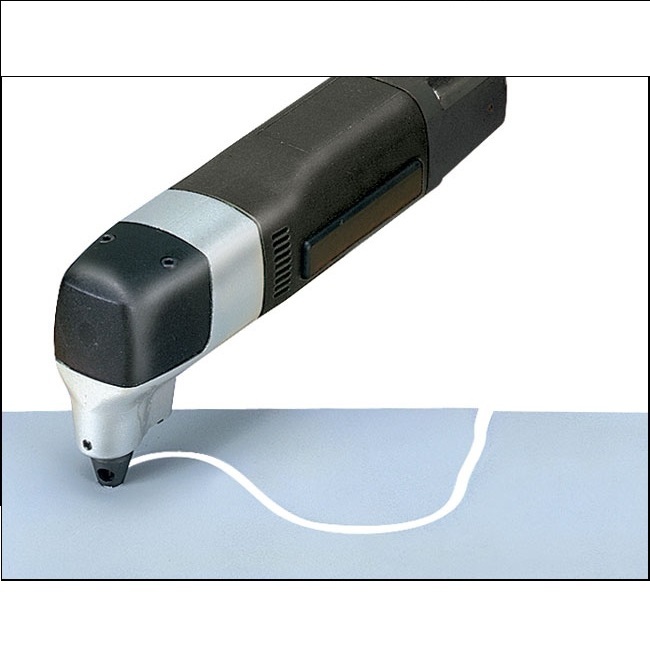 Order today and let our Powered Nibbler make your sheet cutting quick, accurate and easy! Great tool for cutting circular holes in metal. 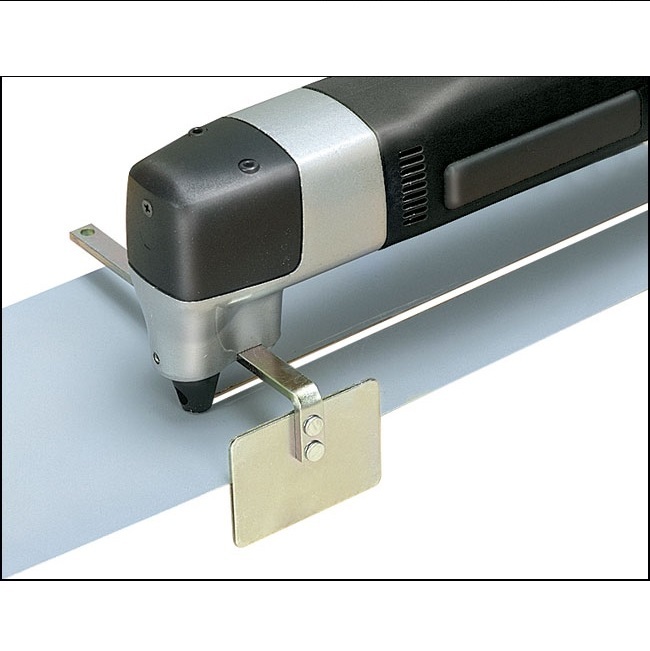 This is a great tool for cutting circular holes in metal. I've only used it for cutting holes in steel. The instructions for cutting a circular hole need some revision. As you will find, you'll have to write your own instructions. Also, buy yourself a spare cutter head. You'll need it. They don't last for ever.